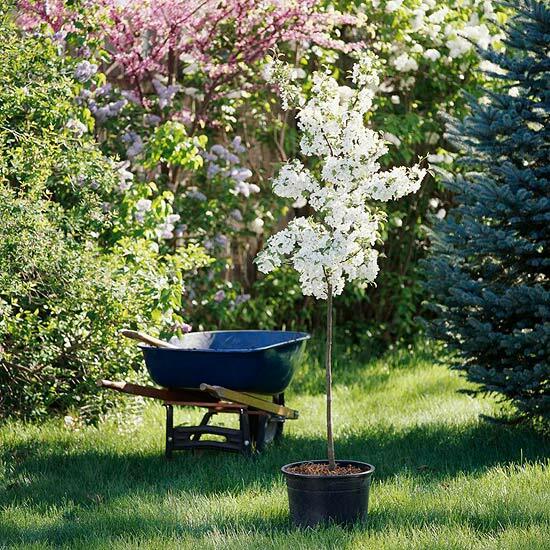 Add a New Tree to Your Yard for Earth Day! We, at JNT Developers of Dallas, want to remind you all that this weekend Saturday, April 22, is Earth Day! There are all sorts of ways to celebrate but perhaps the best way is to plant a tree in your yard! The Proper Way to Plant a Tree There’s an old gardening axiom that says the key to growing a great plant is to put a 50-cent specimen in a $5 hole. It’s no lie. Get your money’s worth from your new tree in your backyard by planting it correctly and caring for it while it grows. Once you understand the science of planting trees, you’ll have your own in no time. Digging a wide planting hole is the key to fast growth of your new tree. Recommendations often specify a hole twice as wide as the root ball; three times as wide is even better. To prevent settling, the depth should be no more than the height of the root ball. First, prepare a hole two to three times as wide as the root ball of your tree. Handle the root ball carefully to keep it intact while you place it in the hole. Once it’s in, turn it so the best side of the tree is facing the direction you want. With burlapped root balls, cut the twine and remove the burlap (or at least push it to the bottom of the hole). Backfill around the root ball, lightly packing the soil as you go. Frequently check the trunk to ensure that it’s straight. Use leftover soil as a berm to create a watering well. Amending backfill with organic matter is an old practice. However, several studies have shown that it produces little benefit (as long as the existing soil is of reasonable quality), so many experts no longer recommend it. The most important factor, by far, is loose soil that new roots can easily grow into. That’s why a large planting hole is so vital. Drive the stake through the root ball into the ground underneath. The stake should be tied loosely to the trunk; do not lash it tightly. Large trees may need two or three stakes placed several feet from the trunk. Water the tree soon after planting and every day for several weeks afterward. By that point, the roots will have begun to grow out into the surrounding soil, and you can begin to gradually reduce the frequency of watering. Fertilizer is of marginal benefit at planting time, and can even be harmful. Wait until the following year, then provide a moderate dose of fertilizer. A 3-inch layer of mulch around the base of the tree will keep weeds out and reduce water loss.